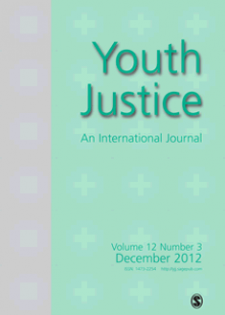 Youth Justice is an international, peer-reviewed journal that engages with the analyses of juvenile/youth justice systems, law, policy and practice around the world. It contains articles that are theoretically informed and/or grounded in the latest empirical research. Youth Justice enjoys an ever-increasing international presence in recognition of the developing interest in juvenile/youth justice theory and system formation within the national and international academic, policy and professional practice communities. It has a focus on effective policy and practice, drawing lessons from pioneering approaches to juvenile/youth crime from around the world, in a context of children’s rights.